As many people will be aware, there is a (self described) “new” flight simulator product that is being widely and actively marketed at the moment under various names – Flight Pro Sim, Pro Flight Simulator, etc. These “new” simulators are simply a rebranding of the FlightGear open-source flight simulator. However, the marketing tactics of the Flight Pro Sim guys have caused more than a bit of confusion with end users. To help provide some clarity and answer some common questions, we (the core FlightGear development team) felt it was appropriate to make a statement, and provide a FAQ. 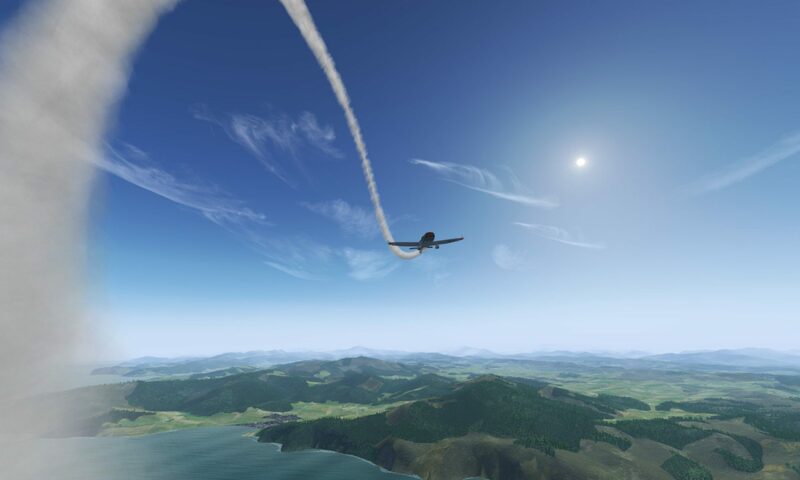 FlightGear is an open-source flight simulator that was created in 1996. It is released under the GNU General Public License v2, and as such, it is free to use, modify and distribute with few restrictions. It has been developed with the collaboration of a large number of individuals over the last 14+ years. The complete FlightGear application and source code can be always downloaded for free from http://www.flightgear.org. Flight Pro Sim is a commercial product that simply rebrands FlightGear. Investigation by a number of the FlightGear developers has found no difference between this and the FlightGear v1.9.1 release other than a change of name. Flight Pro Sim is in no way endorsed or supported by the core FlightGear development team. Given the similarities between Flight Pro Sim and FlightGear, we would recommend that prospective buyers download FlightGear for free and satisfy themselves that Flight Pro Sim provides worthwhile value for money before purchasing it. Q: What is the difference between FlightGear and Flight Pro Sim? A: As far as we have been able to make out, the only difference between FlightGear v1.9.1 and Flight Pro Sim is a change in name throughout the software, and the fact that you have to pay for it. Q: Is it legal for the makers of Flight Pro Sim to simply re-brand FlightGear ? A: Under the GNU GPL v2 (http://www.gnu.org/licenses/gpl-2.0.html) this is legal, provided that they distribute the source code (or make it available). The main issue that FlightGear developers have is the misleading marketing tactics used by pro flight sim that target unsuspecting users who aren’t yet familiar with FlightGear. This is primarily an ethical, not a legal issue. Q: Is it legal to sell a copy of FlightGear, whether re-branded or not? A: Yes, provided the seller is in compliance with a number of conditions detailed in the GPL. In fact, those interested in receiving a DVD containing FlightGear may do so through the main FlightGear website, and directly contribute to the project (though they may want to wait for the upcoming release in the new year). Q: Has Flight Pro Sim paid any money to FlightGear for the rights to the program ? A: No. No such payment is required, as FlightGear is GPL software. No such payment has been offered, no such payment has been made. Any claims by Flight Pro Sim that they support the FlightGear project are entirely wishful thinking on their part. Q: Why do the FlightGear developers allow this ? A: The freedom to modify and enhance FlightGear is a core part of the project, and of open-source in general. Restricting the modifications that are allowed and what people can do with the software goes against that ethos. Q: Is there any relationship between the makers of Flight Pro Sim and the FlightGear Project? Q: Has Flight Pro Sim contributed to the FlightGear project at all ? Q: I have purchased Flight Pro Sim. Can I get a refund ? A: That is something you will have to take up with the distributors of Flight Pro Sim.